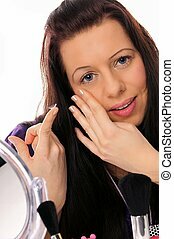 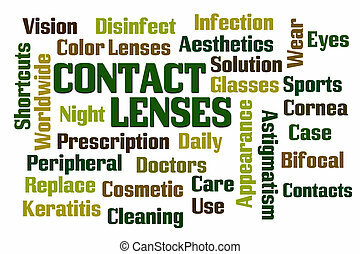 Contact lenses. 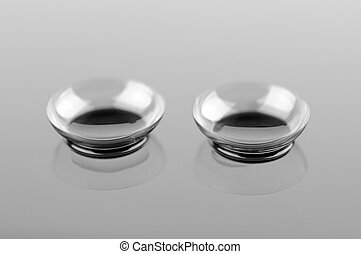 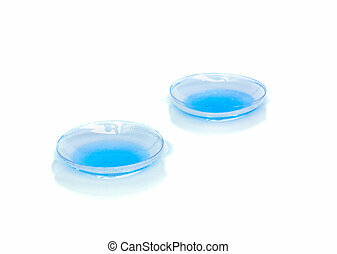 Two contact lenses with reflections on blue surfaces. 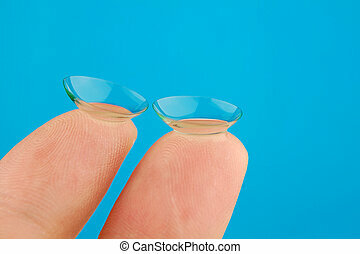 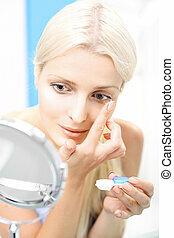 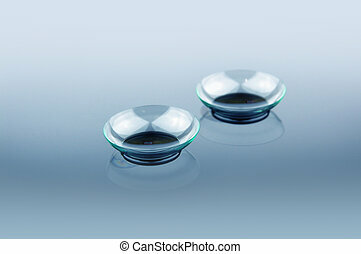 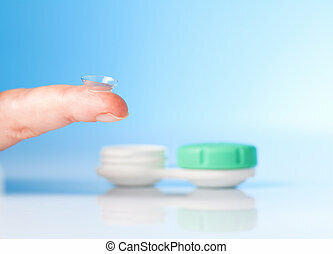 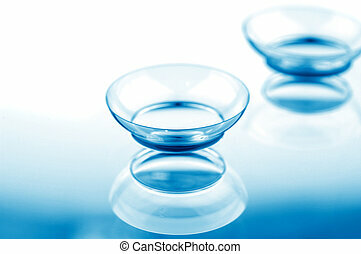 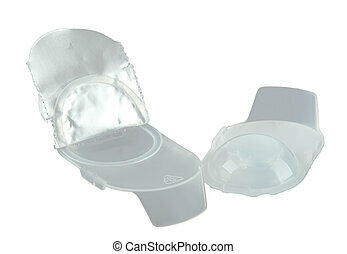 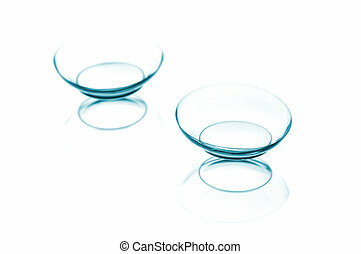 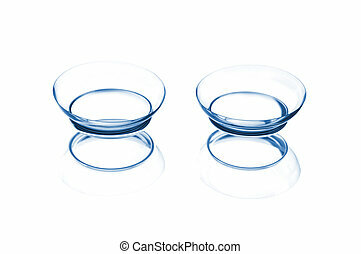 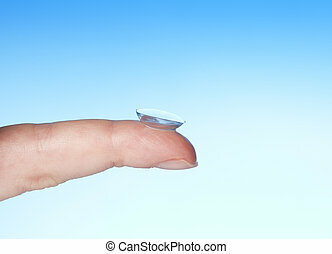 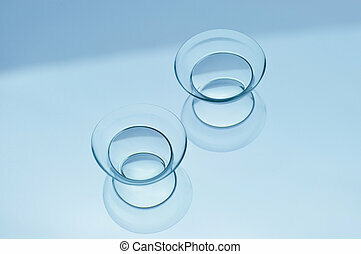 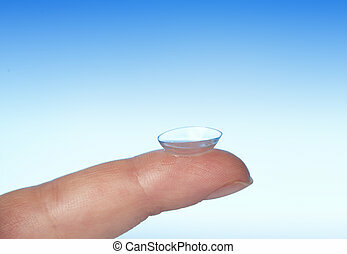 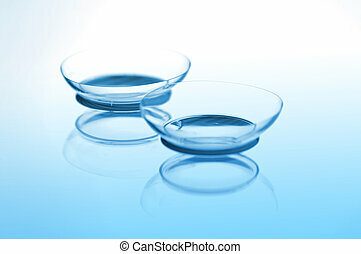 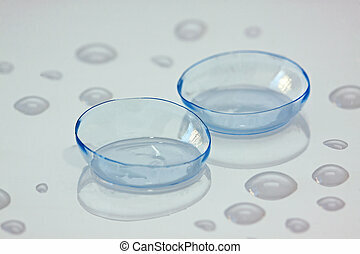 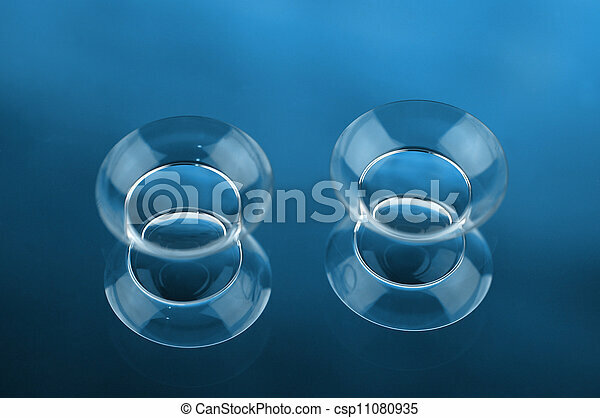 Two contact lenses with reflections on a blue background. 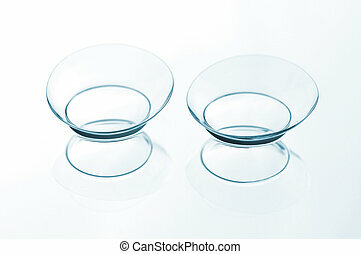 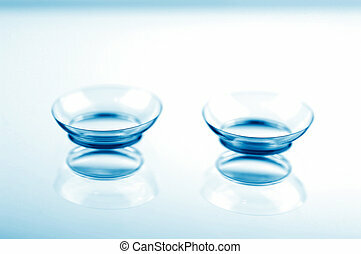 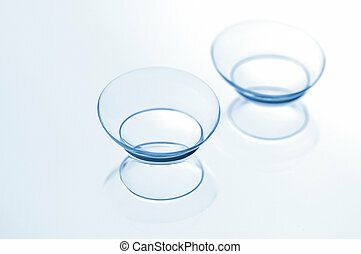 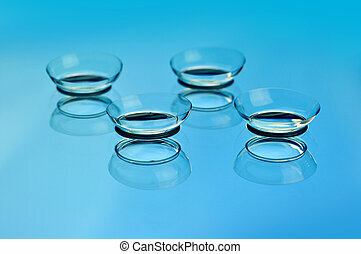 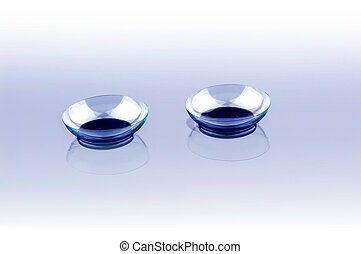 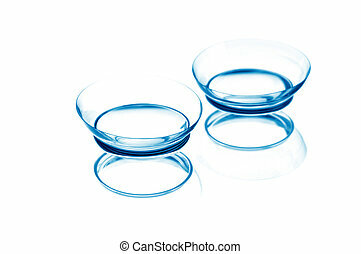 Four contact lenses with reflections on a blue background.